The findings of a new interesting research published recently in Obesity online journal are being vividly discussed in today’s mass media. 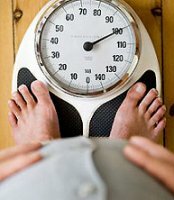 Canadian and American specialists at Statistics Canada, Oregon Health & Science University, Portland State University, McGill University and Kaiser Permanente Center for Health Research are convinced that those of us who have a few extra pounds have much better chances to live longer than those whose BMI varies from 18.5 to 25. It is a common knowledge that those who are severely overweight or underweight have highly increased risks of premature death, as well as the risks of having many serious health problems. However, according to one of the researchers, DavidFeeny at the Kaiser Permanente Center for Health Research, it is a brand new idea in modern scientific world that slightly overweight people actually can have longer life than the people of a healthy weight. At the same time, the experts claim that our weight is just only one of many key factors for a good health. During this 12-year-long research the specialists experimented and tried to find the relationships between BMI and death among more than 11,000 participants from Canada. The scientists found out that obese people were 36% more likely to die, as well as about 70% underweight people were. At the same time, slightly overweight individuals were 17% less likely to die. Therefore, the relative risk of dying for slightly obese and the people of a normal weight are considered to be approximately the same. The findings of this research are similar to the ones of a study carried out by a group of Japanese scientists. The experts from Tokyo claim that the people over 40 who have a few extra pounds generally live 5-6 years longer than their slim peers. The Japanese scientists found out that men with BMI<18,5 usually die in the age of 75 and the women with the same BMI usually die in the age of 82. However, those who are sightly overweight can reach the age of 82 (for men) and 88 (for women). Exercise Every Day And Live 5 Years Longer!